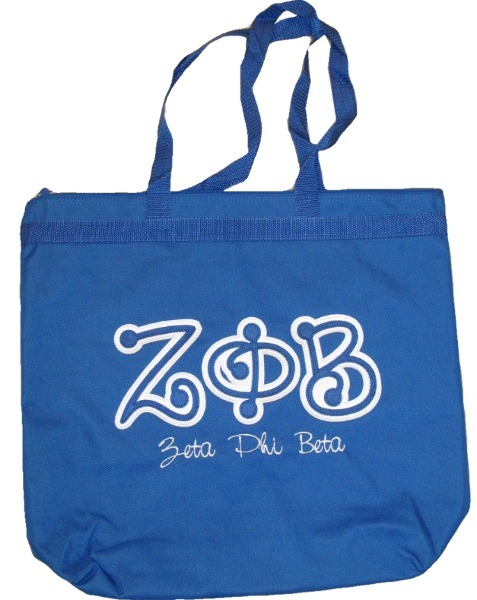 Measuring 18" wide x 16" long x 6" deep - this colorful polyester tote features playful dot letters and whimsical embroidered sorority name underneath. These totes zip close. Even add a custom individual or chapter name for an additional charge (up to 20 characters).